Four D has been a world leader in latex and latex free exercise bands for the exercise and fitness industry for over 20 years. 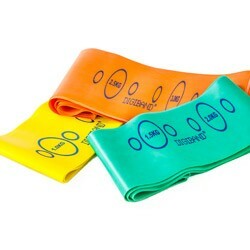 Made from either latex or non-latex rubber, our exercise band is designed to tone, shape and strengthen muscles through gentle repetition of a range of exercises. The Exercise Band has many benefits which can cater to a range of uses. Its primary market is for the rehabilitation industry and our bands are used by thousands of physiotherapists and medical specialists around the world every day. 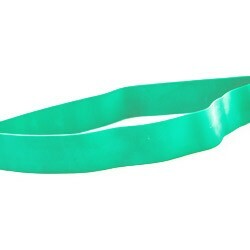 Our exercise bands are also widely used in the growing health and fitness industries. We can produce our latex and latex free exercise bands in an extensive range of colours, and in thickness’ between 0.15mm and 0.65mm, covering the complete spectrum of resistances to suit a light workout through to a professional training session. We offer standard ranges of colours and resistances to fit with the general marketplace or bespoke colours and printing to differentiate the bands. The majority of our products are sold as individual bands, or in rolls between 5.5m and 50m in length, although we are happy to discuss any bespoke requirements you may have. 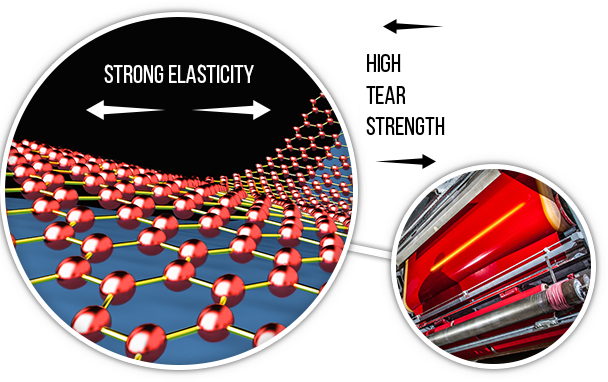 Four D’s unique manufacturing process creates an exceptionally strong and elasticised rubber produced to very accurate dimensions to give the ideal material for resistive training. The strength and durability of our rubber ensures that the exercise bands keep their shape and consistency even with prolonged usage. Our in house manufacturing allows us to tailor exercise bands to individual requests. We specialise in specific variations of bands to include low powder content, reduced protein and a synthetic version of natural rubber (latex free) for those concerned about latex protein related allergies. More and more of our customers see the benefits in own branding their products. That’s why we offer a number of packaging and product branding services including customer printing on bands and branded customer packaging..
To complement the own branding route we have our own ranges of unique exercise bands: Digiband™ and Tridex™ (Four D registered and trademarked latex band ranges) which are unique to the exercise and fitness market. Four D’s exercise bands are trusted by leading health, fitness and rehabilitation establishments worldwide due to our reliability, quality and performance.